While Mexico is caught up in a presidential race which is run before it is decided and a world cup team that is doing better than expected, life in the US’s southern neighbor continues on a sad pace of crime and corruption as today the entire police force (all 27 of them) of the town of Ocampo was arrested on suspicion of involvement in the murder of a mayoral candidate. 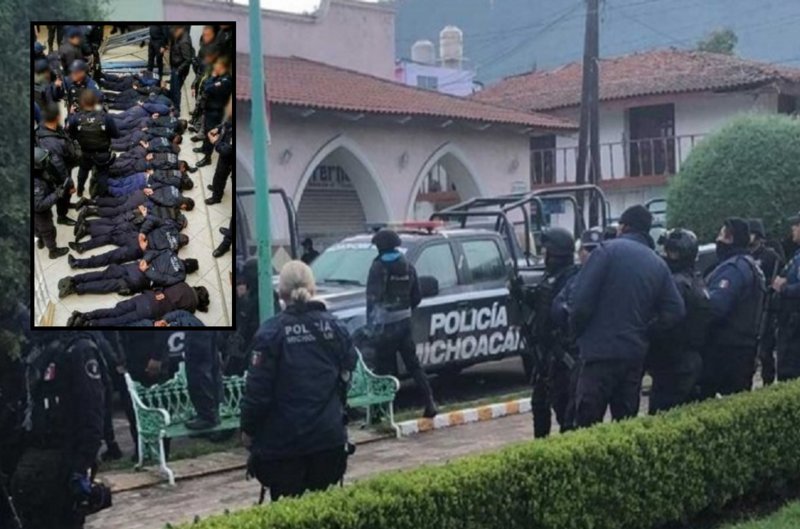 Last Thursday 64-year-old Mr. Fernando Ángeles Juárez was shot dead by an unknown number of gunmen outside one of his own properties, making him the third politician in the western state of Michoacán killed in the past nine days. So far, over 100 politicians were killed all across Mexico ahead of next week’s general elections. Federal forces swooped in great numbers over the weekend and arrested the town's 27 police officers and the local public security secretary. Mr. Fernando Ángeles, a local and very successful businessman, was ahead in all polls. Although he had little political experience, he had joined one of Mexico's main parties, the center-left Party of the Democratic Revolution (PRD), and had vowed to clean up corruption, to the great success of the town’s citizens. Mr. Miguel Malagón, a close friend of Mr. Ángeles, explained: “He couldn't stand seeing so much poverty, inequality and corruption and so he decided to run." The federal prosecutor soon after the shooting accused the town of Ocampo's public security secretary, Mr. Oscar González García, of involvement in the killing, as Mr. Ángeles had vowed to replace him. However, when federal agents arrived on Saturday to arrest him, local police officers blocked their passage. On Sunday they returned with reinforcements and arrested the entire police force. That’s how the fbi needs to start plopping their anti-Trump collaborators down, flex cuffed booty up face down, but nooooo.